Home » Avocado Green Mattress Giveaway! TGIF, everybody! We can’t think of a better way to kick off the weekend than to announce the start of a new mattress giveaway! That’s right, folks — one lucky sleeper is eligible to win a brand new eco-friendly mattress from Avocado. Scroll down to enter for your chance at a better night’s sleep! This is Avocado’s flagship hybrid mattress and it combines dunlop latex with all-natural wool, organic cotton and recycled steel coils offering sleepers a cozy and eco-friendly place to rest. The two-layer design of latex and pocketed coils provides you with that deep pressure-relief we all love so much, while also offering nice bouncy support. Not to mention, when you’re sleeping on an all-natural mattress like this one, you can rest easy knowing exactly where all of its materials came from. So what do you say — ready to throw your hat in the ring for a chance at some comfy-green sleep? Enter now and read our full written review of this mattress to get even more excited! And check out our Avocado coupon page for more deals on the mattress! I think the Avocado Green mattress looks very nice! It looks and sounds like it would be very comfortable. This mattress looks and sounds like it would be wonderful! I think it will be a good replacement for my 10 year old mattress. The sheer thought of getting rid of the stiff neck and shoulder I have been having for the past few years sounds like a dream come true… Love the fact that the mattress is organic. We’re building a new house. I think a new mattress, especially one with a more eco friendly vibe (plus named after my favorite food thing) is just the thing we need. I think that the Avocado Green mattress looks really excellent! I appreciated reading the nice review on this. It sounds great. I like that it is organic and Non-Toxic. I like that this mattress is eco-friendly and made of recycled and natural materials. Looks comfortable.A hybrid mattress with coils and latex. What is better than sleeping on a good mattress? Would love to win this awesome mattress. We are now senior citizens and cannot afford to buy one, at this time. But, we are in dire need because ours is 18 years old. It was a good pillow top, but now is old. I love the Organic Cotton that is used. Would love to have one!! The Avocado Green mattress looks like it might be the one to let me finally wake up pain free. I’d love to give it a try. ALL I HAVE EVER WANTED IN LIFE WAS TO SLEEP ON AN AVOCADO! OR, in one, would be even better! I Like that it’s natural- organic and springy! It looks so comfy.. I would love to have one in my bedroom.. This Avocado Mattress sounds amazing. I would love to own one in my home. I love all the features that help, especially the deep pressure relief! The avocado green mattress sounds like it would very comfortable and I would love to try it out very soon ! Great giveaway! My husband and I are looking at new mattresses now. How cool this would be to win! Thanks for the chance! Wow,this mattress sounds heavenly and like a perfect fit for me and my fiance. I REALLY HOPE we win!! !🤞😍🐾❤️💐😘💥 We just lost everything in our house due to toxic black mold and insurance will not pay 1cent- due to not having a flood beforehand. It is costing $30k to clean up the damage not including to replace everything. I haven’t worked in a couple of years due to my health and I hope that this is the answer – I already feel better being out of the house while they remediate. 🤞that we win. Thank you!! The Avocado mattress is a must have if you have trouble sleeping! My grandmother has been sleeping on one for a while, and since then she’s been so well rested and rejuvenated! 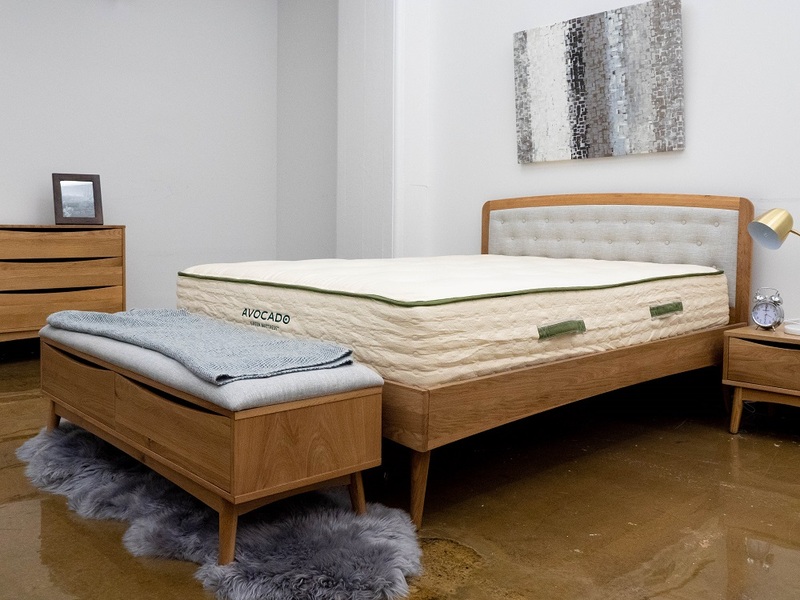 We love the green materials and the mattress really does relieve pressure and keep you feeling cool all night long! I would love to have the opportunity to win, I’m a very tired mother of 4 and it would just be lovely. My grandma could come nap at my house for a change! Thank you. I am not sure a bouncy mattress is for mee. This looks like an amazing mattress. I would love to own an Avacado Green Mattress, would be great for my back. I’m in desperate need of a new mattress… winning would be a dream come true! I’ve read so much about how inhaling the fumes and chemicals from a traditional mattress affects our health. I have been looking for a researching green mattresses for better health. I’d love to give this mattress a try. I saw one recently being delivered to a neighbor and was interested in what a big box with an avocado on it was. It looks like a great mattress. could so use a new mattress! This may be the most original and a bit funny name for mattress. I’m a side sleeper who prefers firm beds. I would like to give Avocado a try! Thanks for the constructive & comprehensive reviews! I like that it’s made with all-natural wool, organic cotton and recycled steel coils. Anything that helps the eco system is terrific. And it sounds comfortable too. Love your in depth and honest review! And the mattress would be perfect for my son! I like the idea of combining wool and cotton for this mattress. I’d love to have a wool mattress, but the price point is beyond what I can justify. The Avocado Green looks like a great compromise! Having been in many accidents, I have a very bad back. Ive gone through countless numbers of mattresses and cant find one that seems to work well with my body. This mattress sounds too good to be true! I love that the Avocado Mattress is eco-friendly & organic! It sounds/ looks like a great mattress! I’d certainly love to try it out!!!! It will be interesting to watch this company grow! We need a new mattress, but no funds. This would help me finally get a great night’s rest! The Avocado mattress sounds like a quality and finely constructed mattress. I especially like that it’s organic and free of nasty chemicals. Thanks! I think it looks really comfortable! Avocado looks like a great mattress; would be wonderful to win! The Avocado mattress looks comfortable without much sinkage. With the name starting with avocado I should have known it would have the “green” aspects which are a plus. The construction sounds good and anything that will help keep me stay cooler with my hot flashes is what I want. Great Looking Mattress! and Great Review!Thank you for the chance At owning One of your Mattresses Your awesome Hun. Good luck To everyone! This would help with my neck issues that were caused by a bad car accident. I don’t feel I have had a good nights sleep since that accident. I sure hope that I win this!! PLEASE PICK ME!! What a wonderful, (as well as generous) and Eco friendly giveaway! Hope it’s comfortable. Looking for a new mattress for the guest room, this would be a great one to check out! I HAVE BEEN IN NEED OF A MATTRESS FOR A LONG TIME AND I BELIEVE THIS ONE WOULD MAKE MY DREAM COME TRUE! Having this would make me so happy. I’ve been ridding my house of harmful chemicals for about a year now, this is the first eco-friendly mattress I’ve come across and I need a new mattress badly. Thanks for the chance to win! 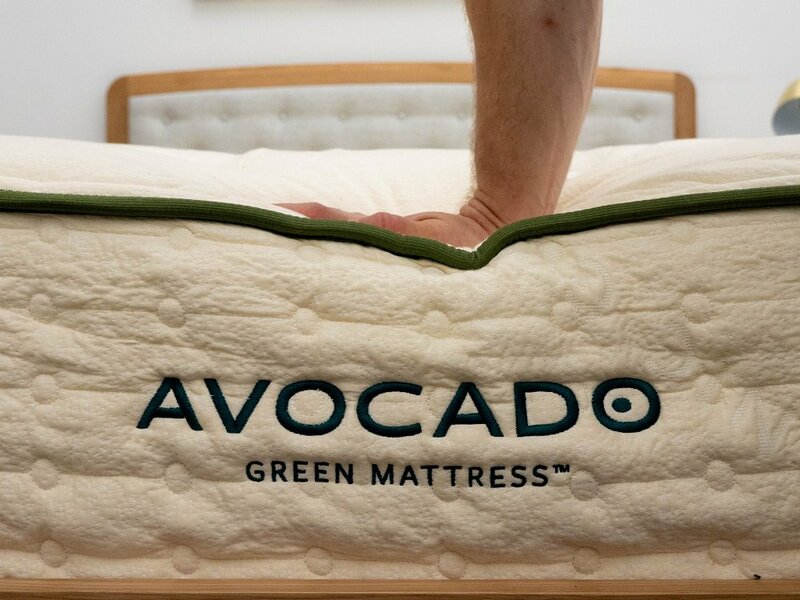 The Avocado Mattress sounds like it was made for me. It looks so comfy and I like the fact it is eco friendly. My wife and I are moving to a new Condominium… we could REALLY use a new bed! I like this a lot. I love the cooling/breathability, as I get hot when I sleep. Thanks for the chance to win this!! Over 20 years ago, I had my first back surgery. Since then, I’ve had more surgeries, epidurals, facet joint injections, and physical therapy. I get very little sleep because the pain seems to get worse at night. I have always wondered if it would get worse if I had a better mattress. We’ve tried several different types, with no results, but I would love to win this mattress and see if it would help. I think it looks & sounds like a great mattress, I would love to win! After many years on a waterbed(yes a waterbed) I’m in the process of looking for a new mattress. This one looks and sounds wonderful. My body can really use this mattress. I would LOVE to win this bed. Not only am I PRO eco-friendly, but it looks so comfortable! I have sleep apnea and I believe this mattress could help me with getting better sleep. I love the materials they use, it just sounds wonderful and I like that they recycle materials that are used in these beds too. sounds comfortable, Eco friendly too, great! It’s great to see more green mattresses on the market, especially ones that actually look comfortable. The Avocado Green Mattress looks amazing. Love your contests! Looks like a great bed! Thanks for the giveaway! My daughter needs a new mattress. This one is perfect for her. Eco friendly is a bonus! I have been researching comments because I wake up in so much pain every day. Would LOVE to win this! Avocado Mattress looks like it would be very comfortable and I really like the fact that it is eco friendly. I need a new bed.Finfers crossed. i would love one of these mattresses, like that it has such support. not sinking, i would love an all natural mattress. Would love to win , looks comfortable ! We just moved and need a new mattress. Definitely needing a solution for better sleep. This looks really comfortable and a plus that it is eco friendly. This mattress not only sounds comfortable but I love the construction. The dingo stole my mattress. Could really use a new one. By the way does anyone ever read these reviews? I need a new mattress so bad just watching the review my back was begging for this! Fingers crossed. Thank you for this chance. I realize this is great mattress. Consumer thinks it is good. I am in need of a new mattress since the mattress I am using is 20 years old. I have been looking for a new mattress for about 2 years. This one sounds perfect. This mattress looks pretty amazing! I love the “green” aspects of the design and I like that it has a bit of bounce to it. I also like that it helps keep you cool! Thanks for the review! It would just be so excited to win a mattress. So I can get a decent night sleep. I haven’t had a bed to sleep on for 2 yrs now. I lost my husband and lost everything I had also. Please God let me win a mattress. I think that it would be wonderful if I owned one. It looks so soft and thick. I like the idea of using organic materials, and love the 10 year warranty. I could really use this mattress! I would love to finally get a great nights sleep with this AMAZING mattress. Great contest! Need a new mattress! If you saw what I was sleeping on now, you would _re-coil_(no pun intended, lol), in horror! Please be my new mattress, lovely Avocado! Thank you for your helpful and thorough reviews. I would love to own this mattress! The Avocado Green Mattress definitely looks comfortable and I am all in on a GREEN mattress! I would love to win a mattress! Haven’t had a new one in at least 8 years lol. I would like to get one for my son so he doesn’t have to sleep on a old pull out sofa bed. It looks very comfortable. Sign me up!!. It sounds to me that this mattress would be beneficial to me. With multiple back surgeries I have a hard time finding a comfortable and lasting mattress to fit what I need. Seems like a great mattress. Our 50th Anniversary is June 29th and since our mattress warranty (25 years) is up would like this as a replacement!! ❤️LOVE TO WIN!! This mattress looks amazing! Hope to win. We have a coil mattress. It is so uncomfortable that most nights my husband doesn’t sleep in it. We got it with a furniture voucher from social services. Didn’t have much of a choice. HELP me get my husband back. I would love to have this comfortable bed! This mattress looks heavenly to sleep on! I have never heard of green mattress but This looks amazing. I’d love to try Avocado green mattress. Looks like a great mattress, hope I win! Love love love that it’s organic and non-toxic!!!! My back hurts more in the morning than it did when I went to bed. I really need a new mattress. I love this mattress! All natural materials, made in the USA, a ten year warranty….great mattress! :-) Thank you for this opportunity! Fingers crossed ! Thanks for a great giveaway !! OMG the Avacado mattress sounds so amazing. This looks so cozy! I also love that the materials are sustainable! I think the Avacoda Green Mattress is amazing! I love that it’s made with natural wool, organic cotton and recycled steel coils! It’s a great mattress for anyone that wants to help the environment while they sleep! This mattress sounds amazing! I like that there’s deep pressure relief because I’m chronically ill and my pressure points hurt so badly when I’m laying down. I would love this mattress as much as I love avocados! Avocado is easily the best choice of mattresses! I need a nice new mattress. Ours is 10 years old. I can’t enter unless I give you all my Facebook information? I’d like to win your mattress, it looks and sounds very nice. I love that it’s made from all natural materials. I would really love to have one of those beds for my back. The two-layer design of latex and pocketed coils provides you with that deep pressure-relief, it also offers nice bouncy support. It’s made with with all-natural wool, organic cotton and recycled steel coils offering sleepers a cozy and eco-friendly place to rest. It sounds like a great night sleep and also it is made with quality materials. I think this mattress sounds really great–I’ve recently read some really stellar reviews on it! My friend has been researching the best mattresses and tells me this one is one of the best! I think it’s a good green alternative. I didn’t you had to look at all those materials on mattresses. There are so many mattress marketing gimmicks, I don’t know what to believe. Fingers crossed. This looks like a awesome mattress!! Sounds like an awesome mattress, I’d love to try it out! I would love to win this! My current mattress is about 12 years old and in bad shape. This sounds great! My husband and I could use a mattress! This mattress weighs quite a bit but I like, despite it having coils, it seeming sturdy while someone is lying on it. It looks like it could be quite comfy. Great review for what looks like an upstanding mattress! Sounds like heavenly sleep to me! I need this kind of mattress in my life! Love the concept of a “green” mattress. I’d love to try the new Avocado Green mattress. We’ve been sleeping on an air mattress since our house burned so a new mattress would be amazing! I would really like this mattress! We are looking for a great night’s sleep! This is the ultimate giveaway, Ive entered them all at Sleepopolis but this is the one I want most. Great written and YT review. Thanks! Looks like a comfortable mattress. The plush mattress looks like a masterpiece. Although, I’ve heard it can be pretty firm for side sleeping as well, so I may need one of their plush toppers, too. I love their use of organic cotton and button-tufting. Thanks for the contest and i like the green construction. I really think this Avocado Green mattress is the one for me! I am absolutely ready to throw my hat in the ring for a chance at some comfy-green sleep! Would love to win this mattress. I have a hard time sleeping this would be great. Retired now and still no new mattress. I think this mattress is pretty neat! I’d love to have one. I love latex, hybrids and green materials, so this mattress sounds absolutely perfect!! This Mattress sounds amazing and would be perfect for my husband and myself. We are both disabled and have major back, neck and hip problems. This mattress would be a dream come true for us. Thank you for having this giveaway. Green is always a good thing. The Avocado Green Mattress would be a very welcome replacement for my current hand-me-down twin bed that is at least 10 years old. Being disabled stuns my abily to get a new, bigger bed. The Avocado Green mattress sounds perfect for a good night’s sleep. This is an amazing opportunity. Thank you so much! I can really use a new mattress!!! Thank you for the chance!!! I would love to win one for hubby and I!!! We definitely need it! I’m in college with degenerative back disorder and need a new mattress SO bad! Help a girl out! I like the name. I also like that it is green as in natural. Thanks for the sweepstakes! I want one of these mattresses bad! I love that it has organic cotton and recycled steel coils and is eco-friendly. With so many toxins, and I am allergic to everything, this is the only kind of mattress for me. I also love avocados, so that just makes me smile thinking of getting in an organic avocado bed. Love it! This mattress looks great! I really love the deep pressure relief feature on this! sounds like a great mattress to get a good night’s rest! I could use one like this because of arthritis in my back. Please let me win this bed. I am a senior in need of a new mattress to help me sleep better and more restful. I’d love to have one of these, they look so comfy. This bed looks so comfy..
My daughter needs a bed and this looks perfect for her sleep style! This would help us out so very much. We are on a fixed income and have never had new mattress! The Avocado Green mattress looks like a well made mattress. This looks like my dream mattress! I would love to own this mattress it seems like a mattress that would work for both myself and husband. I like the sound of this bed, I tend to like firmer mattresses and being natural is a plus. Thanks for the giveaway!! My mattress is at least 15+ years old. This would be amazing to win! Wow… this looks like a great mattress! Would love to win this. Thank you! Love the idea of a hybrid mattress of such high quality. Would love to experience the feel of such a mattress. I love this mattress! I strive to be more eco-friendly as we humans abuse our earth further and further. Every little bit helps! I need a really good mattress that is non toxic! Our mattress is about 15yrs old…so we’re way past due 4 a new 1. Hoping 4 a win. Thanks 4 chance 2 win. This one looks like a dreamy, comfy, cushy sleep situation! I haven’t had a new mattress in about 12 years. My body is killing me. This mattress would make my year. We soin need ove a new mattress. This mattress sounds awesome! I am disappointed that it is not as comfortable for side sleepers. I could use a good nights sleep!! The Avocado mattress sounds great! Boy could I use it for my bad back and old bones! I’ve heard great things from friends about this mattress! We looked into getting this mattress after being really disappointed with a box store latex mattress we made only a year ago. We loved our previous latex mattress, but our current one is super stiff despite being 9 months past the break-in period. In the short term we decided to try a mattress topper instead of a brand new mattress since our current mattress wasn’t cheap and it seems to work so far. We will probably make the investment in this mattress in a few years. i would love to try this mattress I have heard of purple but not avocado. Hopefully it would help my back pain. I think it is awesome. Would love to sleep on one. I love the fact that it’s green. Looks like a good mattress for all type sleepers. I cant wait to get a good night’s sleep! Awesome mattress hope I win. Looks great, I like it is all natural. I like that the mattress is made from recycled materials. Sounds like a comfy mattress. Zzzzz. Sounds like a great mattress! I really value the eco-friendly aspects of the mattress, as well as the organic cotton material. The only aspect I was not certain of is the latex material. Overall, this might be a good fit, but I’ll read up to learn more about the nature of the latex, given potential for latex allergies. I think this mattress would allow me to have a very good nite’s rest. I am sure it does feel so natural and not like I’m lying on coil springs like I amcurrently. CC I would love to try this mattress! I’m interested to see how the “bounciness” talked about in the review effects sleep and comfort. I NEED a new mattress! Being the real princess is not easy! I am sleeping on an old mattress on a day bed. There is no box springs for extra comfort. I have had 9 bone surgeries and have considerable pain. I hope I’m considered for this giveaway. Thank you. I love it and can only dream of owning something so nice. Our mattress is almost 15 years old and I suffer from severe lower back pain so to own a top of the line mattress like the Avocado Green would be a dream come true! I’ve wanted one of these for years!!! Looks like a very nice mattress! AVOCADO GREEN MATTRESS! COOL! IT WILL MATCH MY 1978 REFRIGERATOR IN MY KITCHEN WHERE i SLEEP! I really like the organic materials in this mattress. I’m 55 and suffer from back and neck problems. So a good nights sleep is very important to me. I believe that this mattress can give me the support I need !!! Love Avacado hope to win ! I would love to try this amazing mattress! It would be amazing to get some actual sleep and wake up feeling refreshed! I am buying a new house and looking at mattress options. So happy at all the new choices, especially the shipping to your house option! I would love an Avocado Green mattress. Mine is 20 years old! Looks like a perfect mattress for us! A good sleep is SO important, which I have much difficulty with, so I would LOVE to sleep on this beautiful mattress! I would be extremely delighted to own one of these!